At the heart of your wedding celebration is the ceremony that unites you and your beloved in marriage. The vows of love and commitment that you exchange on this day set the stage for your happy and successful marriage. Your wedding ceremony should be special and meaningful to the two of you. And, of course, you need someone to perform that ceremony. Here are some tips to help you make that important decision. If you attend a church, you will probably ask your pastor, priest or rabbi to officiate. 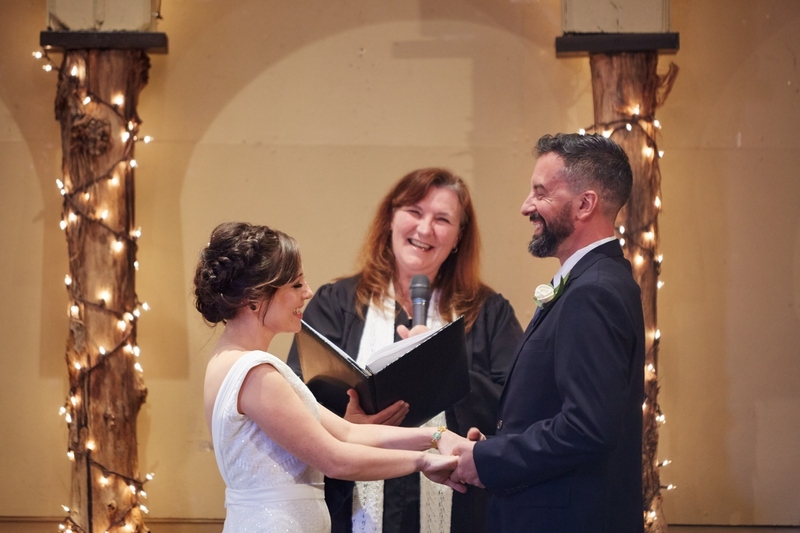 However, if you are not church-goers, or choose to have someone else perform your ceremony, here are some ideas to help you find “the right” officiant for your day. Often your wedding venue — and others on your wedding professional “team” – will have recommendations: Someone who knows the venue, works well with others, is reliable and performs a beautiful ceremony. You might also ask your newly-married friends for a referral, especially if you attended their wedding and were impressed by their ceremony. Is the officiant available on your date, and at your location? Is he or she willing to meet with you and your fiancé to see if you will be comfortable working together? How much experience does the officiant have performing weddings, and are references available? What is the officiant’s fee, and what does it include? (Prepare and perform the ceremony, attend the rehearsal, file the marriage license, etc.) Are there any extra fees? Does the officiant require (or offer) premarital counseling? Will you be able to sign a contract with the officiant? 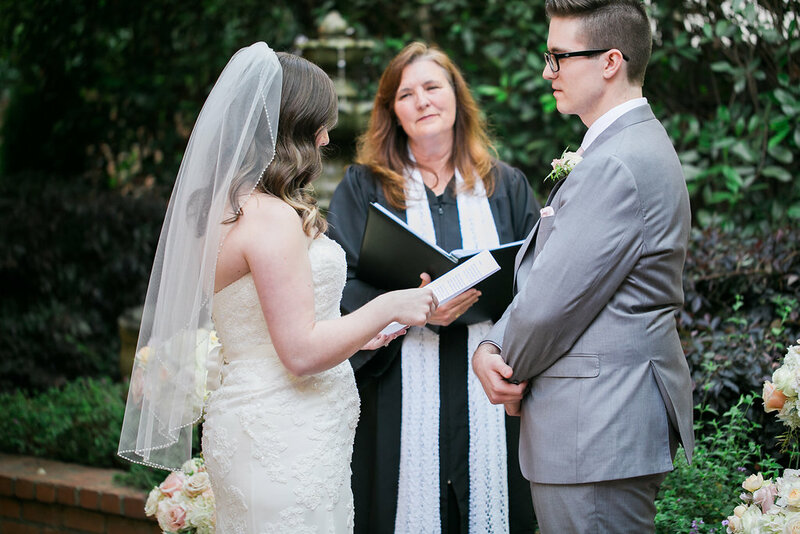 What is the officiant’s spiritual or religious background, and will those beliefs be incorporated in your ceremony? If you wish to write your own vows, does the officiant offer any samples or suggestions to help you do this? If you have special needs, such as family blending, cultural or interfaith rituals, etc., is the officiant familiar with those elements? Will you be able to review the ceremony before the wedding? If you want to make changes, can you do so, and is there any extra cost for changes? Does the officiant participate in the rehearsal? In case of emergency, does the officiant have a backup person who can step in and perform your wedding ceremony? Finally, after meeting with potential officiants, what is your “gut feeling” about them? 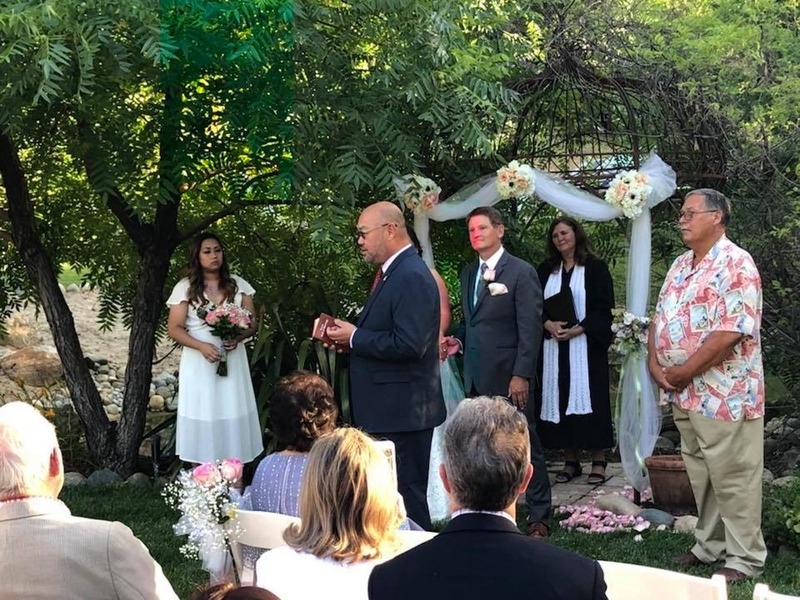 The most important thing when choosing an officiant is finding someone with whom you feel comfortable and who feels honored and delighted to be sharing your special day with you. This post was posted in Weddings and tagged Officiant, Sacramento Wedding Officiant, wedding ceremony. Bookmark the permalink.